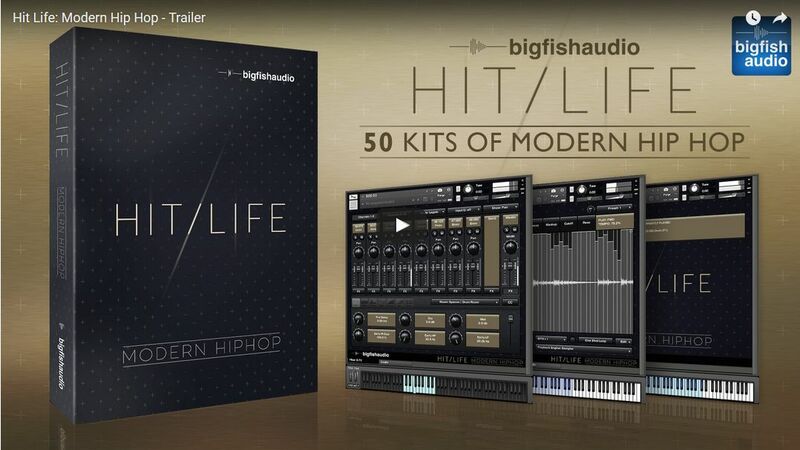 Hit Life: Modern Hip Hop boasts 50, yes…FIFTY fully formed construction kits that include drum hits and drum track stems for full control over every element. These kits are a cut above the norm in quality, creativity and usability, fully formatted in KLI and including tracks in the styles of Drake, The Weekend, Eminem, Fetty Wap, Bryson Tiller and more! Hit Life: Modern Hip Hop has been formatted in the most widely used formats on the market today: Apple Loops, Acidized WAV and REX files, making it usable in virtually every piece of software and hardware in use on the market today. In addition this library comes fully formatted for Kontakt as part of the Big Fish Audio KLI 3.0 Series which transforms this loop library into a truly moldable and musical writing instrument.